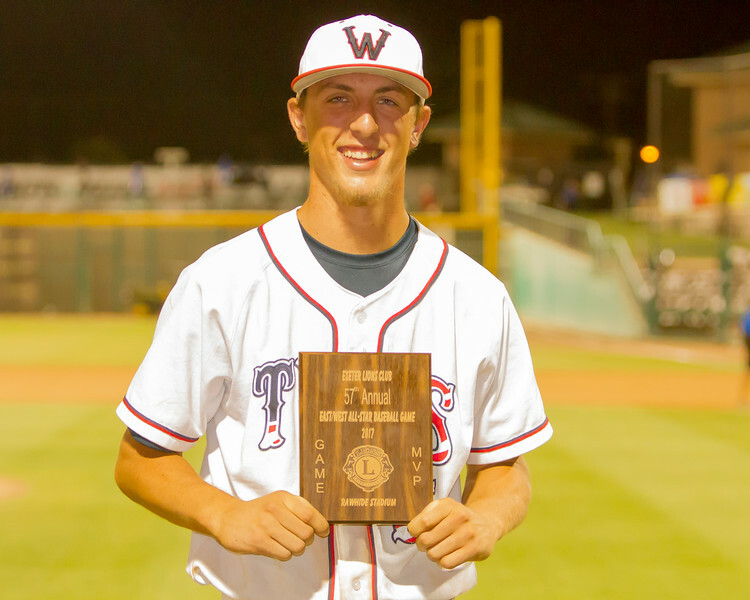 TWHS Mustang Wyatt Gilbert displays the MVP plaque from the 57th Annual East West All-Star Baseball Game. The All-Star Game is sponsored by the Exeter Lions Club. Gilbert led the East, which included all-stars from Delano, Exeter, Farmersville, Granite Hills, R.F. Kennedy, Lindsay, Mission Oak, Porterville, Strathmore, Tulare Union, Tulare Western, and Woodlake. It was coached this year by Porterville igh School head coach Mike Hill.